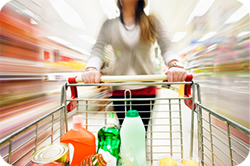 Consumer goods companies have always faced intense competition in the market and also fluctuating demands. The customer attention span has reduced further as the number of options have increased in the market. However, new marketing and sales channels, that have opened with internet enable them to capture the attention of a large market. We offer solutions that encompass trade promotion, campaign management and administration. Our cloud technology and mobility services enable you to leverage the potential of social media and analytics tools on the internet to reach out to the target market. We offer agile inventory and supply chain management solutions so that the time to market is greatly reduced. Our ready services, short development time and easily adaptable solutions will transform the business operations of your organisation for the better. We offer effective solutions for sales and marketing which will gain greatest visibility for your business and enable you to capture the larger market share and stay ahead of the market trends.